The last two vintages have certainly not been easy in Alto Adige. Two thousand thirteen was a cool, late-ripening year, as it was across many regions in northern Europe. Typically, these conditions tend to favor whites over reds. That may turn out to be the case here as well, but it will only be because the reds struggled even more than the whites. Although I had high expectations for the whites, the 2013s aren't as tense or energetic as I had hoped they would be, while the reds I have tasted so far are mid-weight, aromatic wines that pretty much reflect the middling quality of the vintage. Rain towards the end of the harvest was a complicating factor in some spots, as the grapes bloated and the robbed the wines of their concentration and energy. I strongly believe Alto Adige is one of the world’s elite wine regions, especially when it comes to whites. I say that with the perspective that comes from regularly tasting the wines of Alsace, Austria, Germany and Burgundy, which is a real privilege, to say the least. But the 2013 Alto Adige whites point to a disturbing trend. I noted traces of sweetness in many wines. To be sure, the local Italian market, where so much wine is sold in bulk or by the glass, has a marked preference for whites with a few grams of residual sugar. At the high end, a number of Alto Adige's best wines have some residual sugar, but in most of those cases, the inherent intensity of the fruit is actually pretty well suited to stylistic choices that seek to emphasize textural richness and body. That is less often the case at lower levels of quality, however, where residual sugar can really stick out. In my opinion Alto Adige's single most striking attribute is the ability of wines to express the essence of vintage, variety and site with crystalline purity. With few exceptions, the 2013 whites don't achieve their full potential because they lack focus and energy. Don’t get me wrong, the wines aren't bad, but they also aren't as compelling as they could be. Make that should be. Mother Nature followed 2013 with another tough year. Two thousand fourteen will go down as one of the most challenging growing seasons in northern Italy. Thus far, I have mostly tasted whites and only a few reds. Sadly, the results in bottle are pretty much in line with what the conditions suggested they would be. I happened to be in Alto Adige in mid-August. The weather was cold, wet and dreary. While late-ripening red grapes can recover with a good September and October, white grapes don’t have that luxury. Bad weather in August is pretty much the kiss of death. 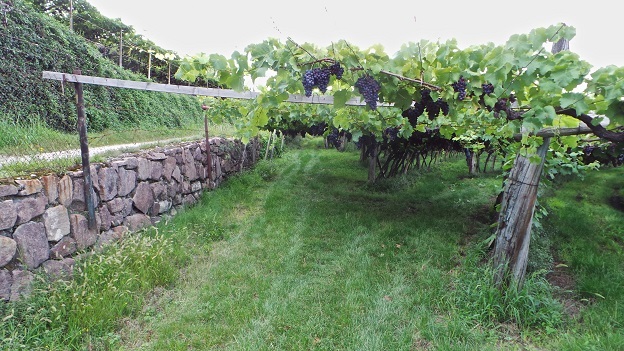 With disease pressure from botrytis and attacks of the Suzuki fruit fly mounting, growers were faced with the choice of either harvesting unripe fruit or losing their crop. This was especially true on the valley floor, where the conditions were brutal. A few hillside vineyards appear to have been spared the worst, but they are very much in the minority. Not surprisingly, the 2014s are slender, diluted and lacking in varietal character. Although I have only tasted a limited number of 2014s so far, the best varieties appear to be Sauvignon, which by nature tends towards the greener side of the spectrum, and Gewürztraminer and Lagrein, two varieties that typically have more than enough richness to be able to give up some depth in a poor year and still be tasty. Frankly, it is a minor miracle the 2014s have turned out as well as they have. Then again, Alto Adige lies in close proximity to several prominent universities and the expertise of the region’s winemakers is high. To be sure, 2014 is a vintage made in the cellar by technicians who used every tool at their disposal. The wines lack depth and texture, but, with few exceptions, they show no hard edges or unpleasant flavors. Readers will see many wines with scores in the 80s, which equates to an average level of quality with no significant flaws. The 2014s are wines to drink young, with the hopes that 2015 and beyond will be much more favorable. 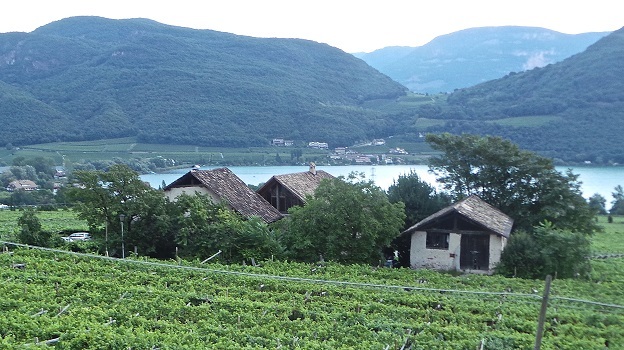 Note: For the sake of convenience and future reference, I have included a handful of reviews from neighboring Trentino, which is separate and distinct from Alto Adige, but, sadly, a region with far fewer growers of note. This article is coming out much later than I would have liked. Much of the time that I had allocated to write these reviews last year was consumed with our acquisition of Stephen Tanzer’s International Wine Cellar, and the intense follow-up work that was required to integrate our new team and combined database. Naturally, that is a one-time event, and it is my hope we will get back on track with Alto Adige coverage later this year. Thank you for your patience.